A FABULOUS SITE OVERLOOKING BEE LAKE! 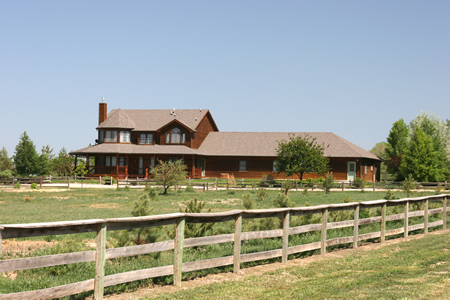 This is a very private 60 acres that overlooks Bee Lake and is just 3 miles, or so, from I-25 and just north of Ft. Collins. The home was custom built in about 1996 and has a very interesting and useful feature—a “wing”--attached to the 3-car garage; this wing consists of a shop and a doll factory—perfect for your business/office/work/crafts/art needs. Zoned agriculture, t his is one of those great places where you can raise animals (besides horses, dogs, and cats) . Valuable water rights are included for hay or crops. 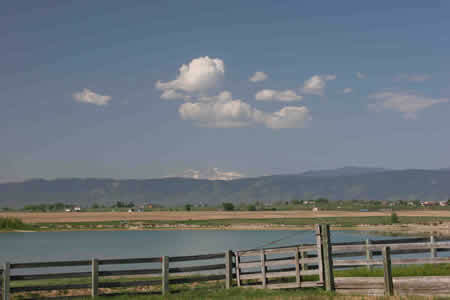 Home has incredible views of Rocky Mountain snow-capped peaks and Bee Lake. Bee Lake is about 1 and ½ miles long and about ½ to 2/3 mile wide. The lake is accessible via membership for boating, waterskiing, jet skiing, etc. This property may currently be subdivided into 5 parcels including the home that is on the property now. The four additional homes sites could possibly be clustered in building envelopes on the gentle hill above the irrigation ditch that is basically out of sight of this home. The rest of the property could remain open space. Call us and we will tell you how you can “have your cake and eat it, too”! Lots of choices come with this property because of the agricultural zoning and the subdivision possibilities. If animals or crops just aren't your “thing”, then pull up a chair on the front porch, have a cool drink, and enjoy the antics of the ducks and geese that live on the lake. Asking just $949,000!